A few days ago, Alex and Angela Dezen (from The Damnwells) released an album for a great cause. 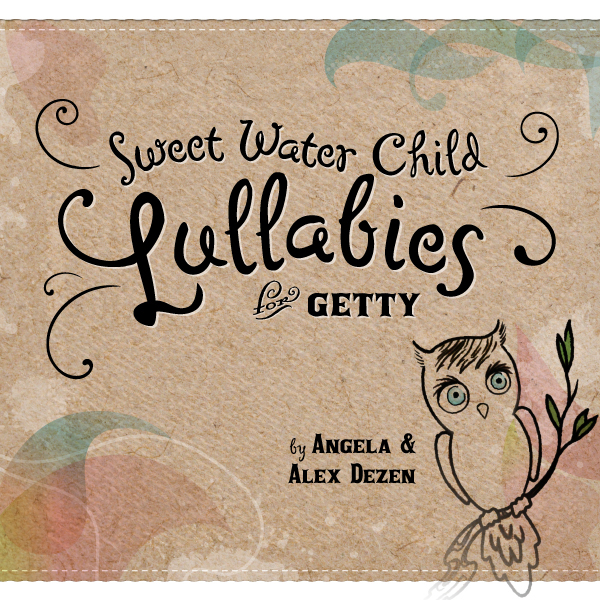 The Album, "Lullabies for Getty". The Cause, to help raise money and awareness for Spinal Muscular Atrophy (SMA). SMA is the leading genetic killer of infants and young children and is a terminal, degenerative disease that results in the loss of nerves in the spinal cord and the weakness of the muscles connected with those nerves. The album was inspired by a young infant named Getty Storm who has been diagnosed with the disease. 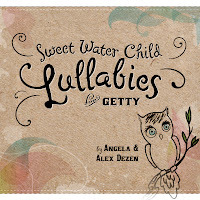 I read about all the facts and information of SMA on the site that promotes the album http://www.lullabiesforgetty.com. It was really intriguing to educate myself on SMA and to find out that the 1 in 40 people have the defective gene and parents can pass it on to their children causing SMA. However, parents can be tested to see if they are a carrier. Also researchers believe that they are within just a few years of finding a treatment or cure for this disease. Knowing this really caught my attention. This album is a great way to support the cause. Especially if you have young children or are a fan of the Dezen's and The Damnwells. The music can be streamed in its entirety by using the widget below, but please don't hesitate to find out more information from LullabiesforGetty.com. The songs are excellent and the cause is wonderful.